Loneliness affects everyone to some extent. We are social creatures by design, made to live in community, and help carry one another’s burdens. When a difficult situation arises and we feel a sense of being without companionship, comfort or understanding, we are left feeling isolated and alone. In December of 2013, I was diagnosed with Post Traumatic Stress Disorder. I always associated PTSD with war veterans, something those who faced combat situations experienced. I had no idea that it could also affect those who’ve survived extreme trauma or abuse. Within a year’s time, I went from being someone who thrived on the energy of those around me to someone who began to live in complete isolation. But, there is a difference between loneliness and solitude. Solitude, as described above, is a voluntary withdrawal from people. Loneliness, on the other hand, is the want of intimacy. In other words, no one chooses to be lonely. Loneliness feels like isolation forced upon you. It’s like a dark cloud that looms over you and hangs on despite your best efforts to force it off. If you’ve experienced loneliness like I felt in this season of life, I know you can attest to how painful and draining it can be. I was not alone, but I was most certainly lonely. There were people in my life that attempted to connect with me, but it didn’t feel like they could truly relate. In the end, the few that I opened up to slowly started to distance themselves from my life. I blamed myself, wondering what I did or said to push them away. I started to question my own sense of worthiness. I found myself looking everywhere except to God for comfort and rest. As a result, the “loneliness cloud” grew violent in strength. The problem with looking to the world for answers, or entering into a relationship with someone, expecting them to make you happy, is that you will always be let down eventually. That’s because only God was meant to fill the void in our heart. Can you identify with feelings of loneliness? Have you ever been surrounded by friends, family, or coworkers and yet felt completely alone? We’ve all experienced the sense of being without sympathy or support within our relationships, especially in troublesome situations. Don’t fall into the enemy’s trap of living in isolation. 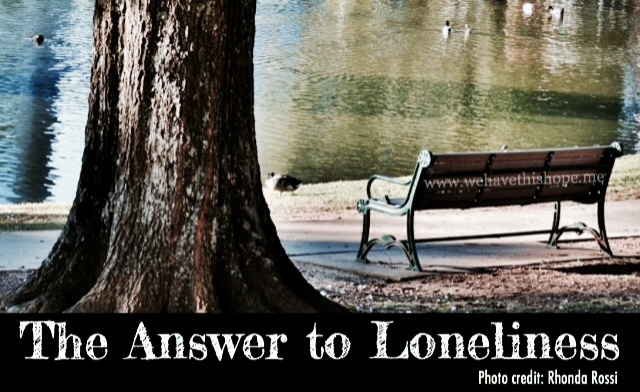 The bible teaches that at the deepest level, loneliness is worked out in Godly relationships. Open up to God and confess to Him your struggles. He may be using a season of loneliness in your life to get your attention and prompt you to draw near to Himself and other believers. It’s only then that you will begin to trust, start to heal, and utilize the support he promises to bring. I’m blessed with your feedback and encouragement, Kristine. Thank you! I love all the scripture. Thank you so much for this. I know what it is like to feel lonely. There is that deep desire to feel known, but a hole that doesn’t feel it at all. I loved this line, because it is so true: “The problem with looking to the world for answers, or entering into a relationship with someone, expecting them to make you happy, is that you will always be let down eventually. ” I cheer you on wildly from the Purposeful Faith #RaRalinkup; your words bring hope. Tina, so true-God is the only cure for loneliness. At some point or another, we all feel lonely, I believe. God alone is truly supposed to fill the emptiness. I do find comfort in the body of Christ, but ultimately God is the one who cures my loneliness. Thanks for this encouraging post! Visiting from #raralinkup! Jesus often withdrew to lonely places and prayed. And prayed. My heart aches as I can’t imagine the trauma that precipitated PTSD. Yet I can comprehend the loneliness. Having lost a child, some folks wanted to avoid me like it was contagious. Lonely. Empty. Void. HAD to be filled. And prayed…to renew my mind, to rewire my thinking, to allow His Word to DO His Work, in me. And prayed. Again. and Again, and Again. And open up to the support He brings. I’m glad to hear; Thanks for visiting & have a blessed day! I can definitely relate, Ruth. I’m having a similar issue with the body of believers I meet with each week. I’m sure that in my case it’s more an issue with social anxiety than anything else, but it’s a struggle none the less. Your love for God and passion to encourage others is evident in your writing. It’s hard to come by someone so open, honest and “real.” I’m surprised to hear you are having difficulty connecting closely with other women in your church. Praying the Lord brings ladies into your life (soon!) that build up and encourage your heart. Hi Tina! How nice to meet you today through the RaRa Link-up! Your Scripture quotes are wonderful support. I can see how much they hugged you tight. I pray that you are feeling better! And how great that you can turn this into a teaching moment for us all. Bless your heart of encouragement, Tai! I am so thankful for you! I share openly, hoping the Lord will utilize the trials in my life to help others grow, and realize they are not alone. I can’t count how many times I’ve asked myself, “Am I the only one who feels like this? 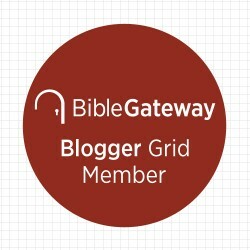 ?” It’s been a blessing to connect with so many through blogging. God has used it to answer that heart’s cry and in the process, bring Himself glory.